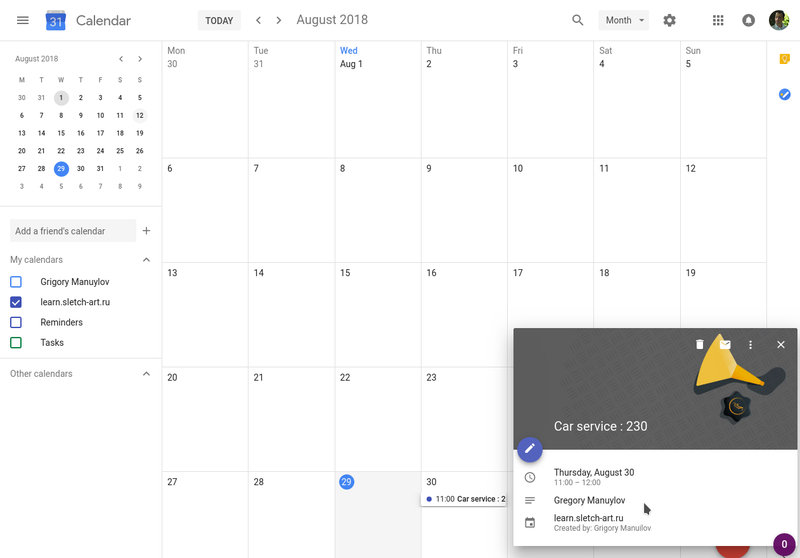 gfCalendar is plugin connects your Gravity Form on your WordPress site to your Google calendar DIRECTLY without any other extra services. 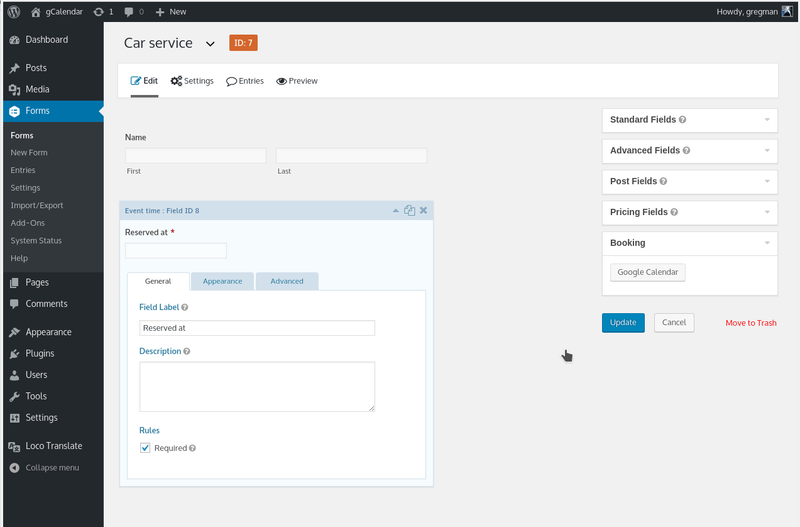 Through the settings of the plugin, you can easily define the dates when bookings can be made, the duration of the time slots. 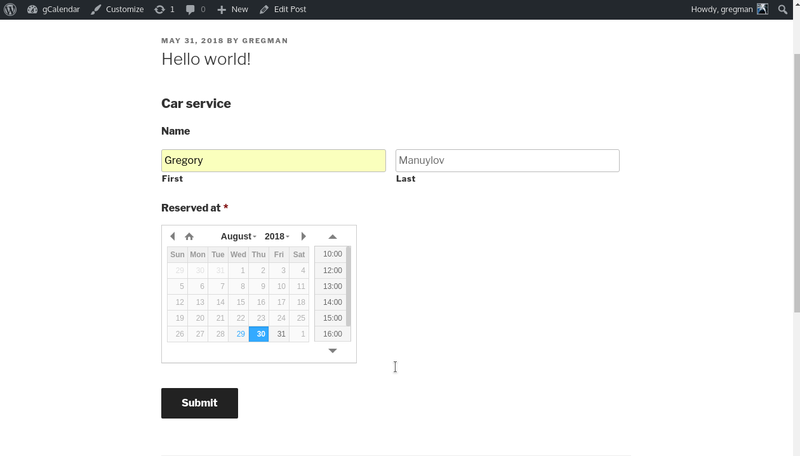 As the calendar is powered by AJAX, the availability of the booked slots will be updated instantly. Can be used for : Lawyers, Salons, Mechanic, Cleaning services, Doctors, Spas, Personal trainers, Private Lessons or Trainings, Escape rooms, Courses, Conferencies and all other businesses that want visitors to their sites to schedule in-person appointments. 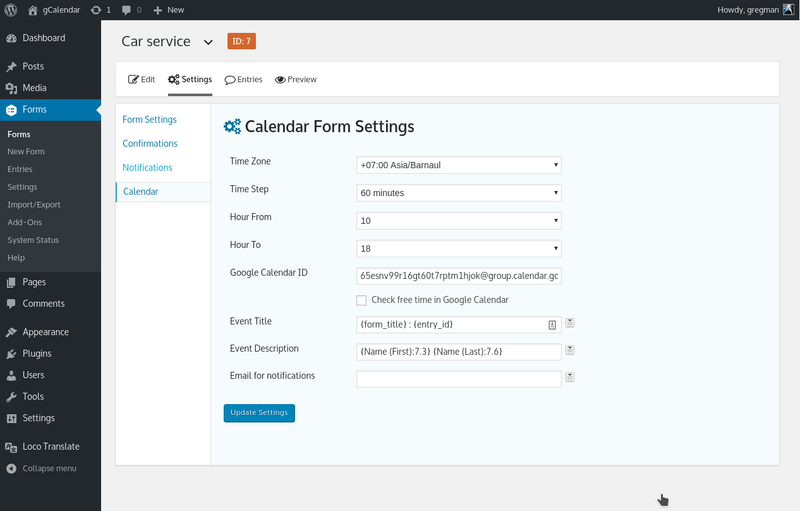 gfCalendar required Gravity Form and Google calendar account.